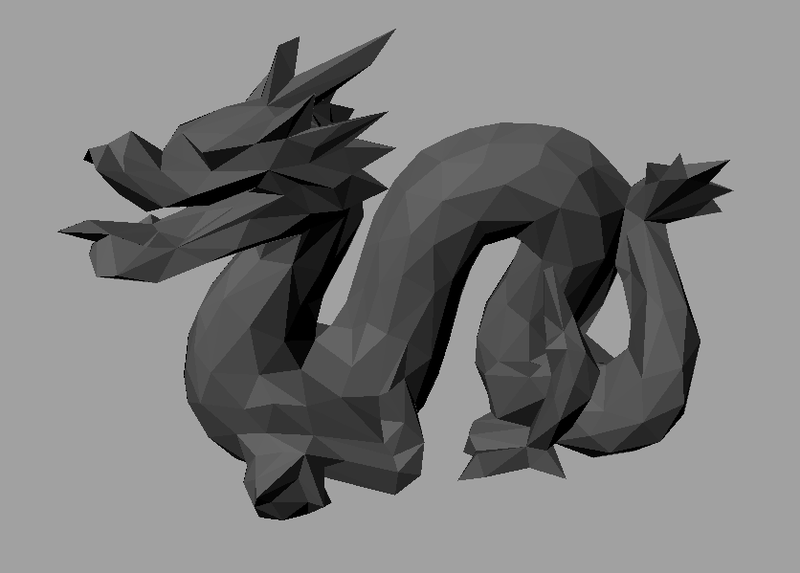 A simplified version of the famous Stanford Dragon. The original mesh, which has about 1.1 million triangles, was decimated to 1180 triangles. This model was provided and built by Benjamin Ernst. Rendered picture of the computer model. 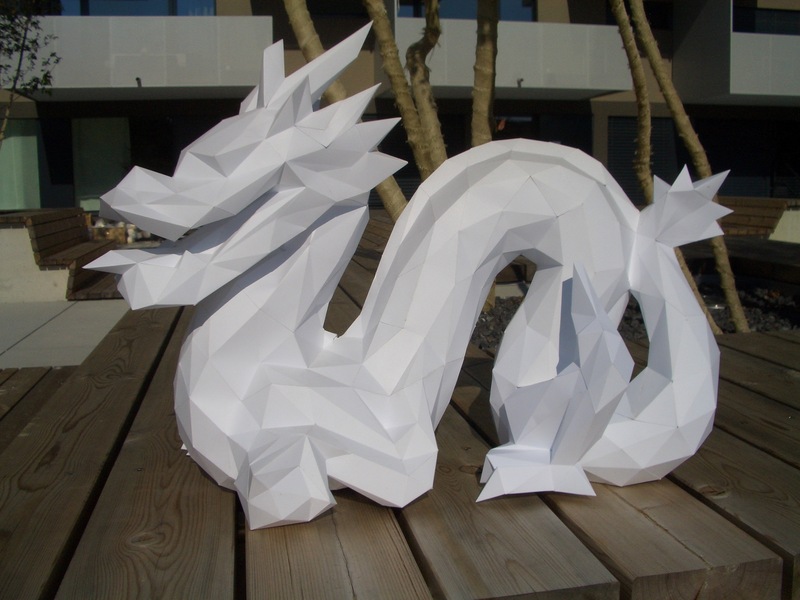 Photo of the paper model. Download cut-out sheets as PDF.